Another quiet, but very exciting, week on the review front with some epic doorstoppers landing on my . . . well, doorstop. I thoroughly enjoyed the author's definitive edition of Peter's first book, so I'm really anxious to dive in and see where the long-awaited follow-up takes the characters. I'm both anxious and excited about this one. 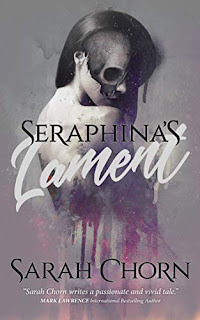 Stephenson is a very smart guy who always challenges the reader, almost forcefully educating while he entertains, but it's an experience you never regret. 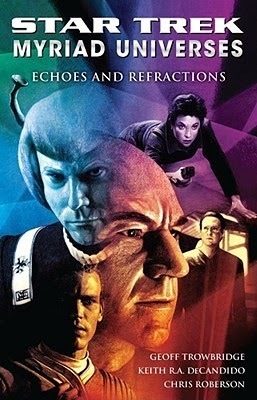 I also took advantage of 50% off sale this week to nab 3 of the Star Trek: Mirror Universe collections. Exploring the dark, weird, and wild side of Trek is always fun . . . plus, I'm looking forward to rediscovering the love I had for Trek before Abrams so sorely disappointed me on the big screen. 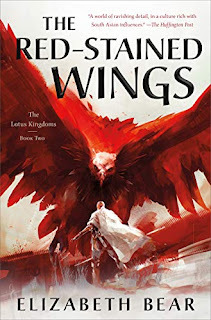 I missed out on an ARC, and there wasn't a store around with a hardcopy in stock, but early reviews have been fantastic so I splurged on the e-book . . . and I'm quite enjoying it so far. Karen Memory is a lot of fun, Dez - a very unique narrator and an almost Old West frontier town feel. The words '50% off sale' are always magical to hear! I just don't see enough of my genres at that price! Maybe it's a good thing for the tbr...Enjoy your books! Yeah, 50% off is certainly dangerous, and my wife isn't so excited about the additional clutter, but I can't resist. I've never read that Star Trek series. 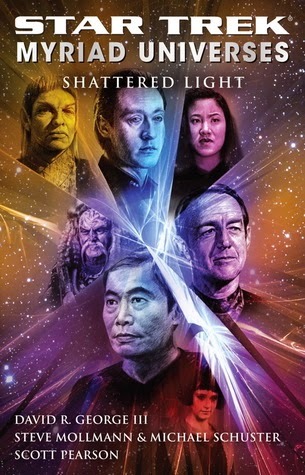 I have read my share of Star Wars, but never a trek novel. I've read quite a few - Original Series, TNG, DS9 Voyager, and some of the continuations that imagine how the shared universe developed after TV. 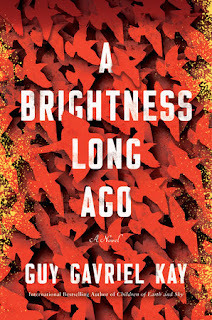 I think the episodic nature lends itself much more to books than Star Wars gap fillers. Nice haul! I used to read Star Trek TNG books, but couldn't keep up with the monthly releases. Hope you enjoy all your new reads! Yeah, I used to devour the TNG books back in highschool. 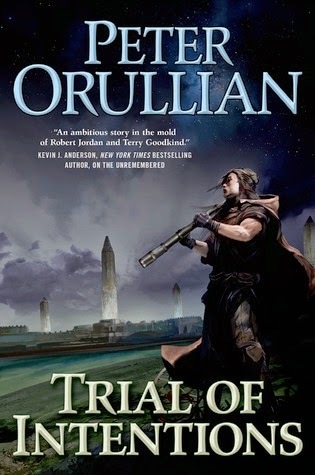 I finally started reading The Unremembered this week so looking forward to seeing what you think of Trial of Intentions, and Karen Memory too! Think I'm going to have to break down and buy a copy sooner rather than later! I'll be curious to see what you think of The Unremembered! 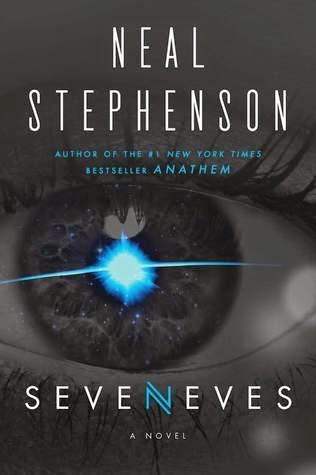 I'm curious about Seveneves as well (what's up with Stephenson and his weird titles, though?) 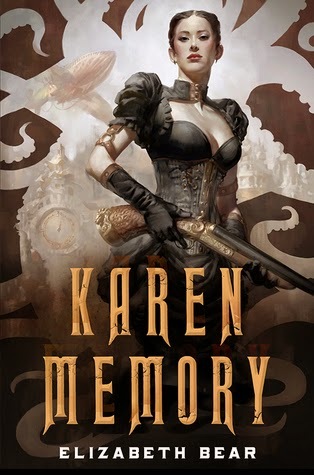 I have a copy of Karen Memory and I hope to start it soon, I've heard mostly raves about it. Enjoy your week! Yeah, I've heard nothing but good things about Karen Memory. It's has a very distinct voice, but I'm enjoying it immensely. Ah, you got a copy of Stephenson's Seveneves! I have to admit I'm a bit curious about that, though I'll probably not be able to get to it. And ST Myriad Universe - is that similar or same or different from "Mirror" Universe, which is what you wrote in your link above? 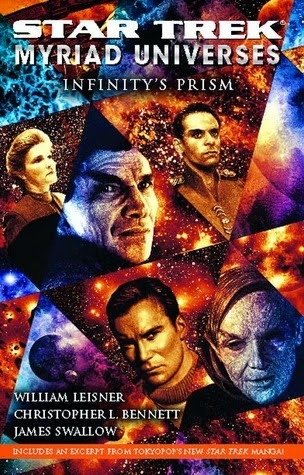 Yeah, not sure what's up with the title difference - I've seen copies with "Mirror Universe" and with "Myriad Universes". I assume it's a regional thing. 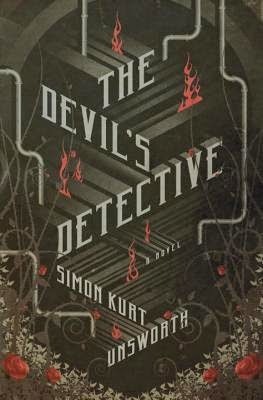 The Devil's Detective looks like a really good read, I will have to check that one out :) I hope you enjoy your haul. Nice assortment of books. I've heard good things about Karen Memory too. I'm old enough that I devoured the novels based on the Original Star Trek series as they were released. I didn't get into TNG as much. Happy reading! Hee, I'm glad you're enjoying Karen Memory too! Hmmm... nothing worse than a disappointing read - particularly when it's something you've been looking forward to! I haven't read a Neal Stephenson for a while. As I recall he is inventive and intense. Karen Memory looks interesting. Happy Reading. I haven't heard of any of these authors. Thanks for opening me up to something new. The Devil's Detective sounds like fun! 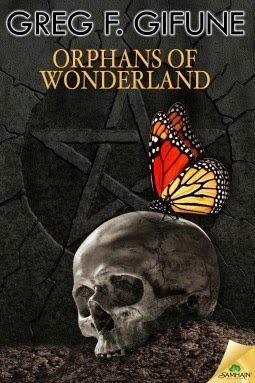 I read Orphans and Wonderland. Although not my favorite, I did like it. I hope you enjoy it though. Great score on the Trek books! Enjoy!